Shrugging off its murky reputation, Colombia has been revealed as an exciting destination that deserves to be seen with fresh eyes. It is true that Colombia has suffered from a bad press in the recent past, but any remaining connotations of criminality are very much out of date. 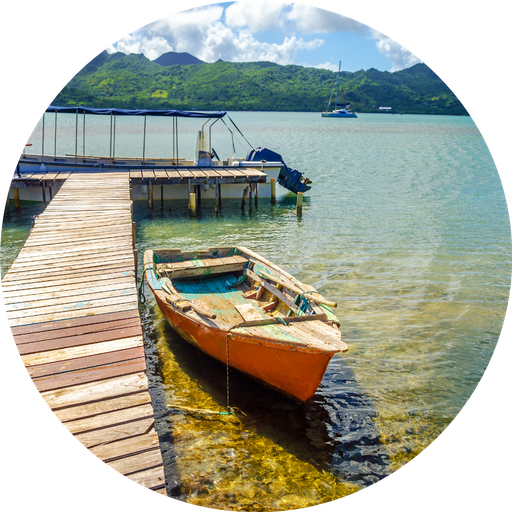 The focus has now shifted to the incredible diversity of experiences and landscapes waiting to be uncovered in this enticing and friendly corner of South America. 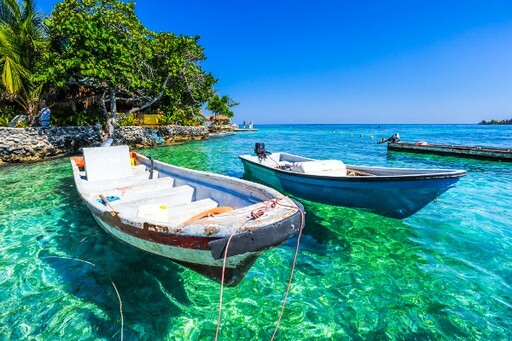 Colombians can’t wait to show off towering Andean peaks and jungle-clad lowlands or tell you about the best places to dip a toe in the Caribbean or Pacific. They will point out the cultural riches of the colonial architecture and myriad celebrations that punctuate the Colombian calendar, all with a tangible pride. Colombia’s time has come, and it was certainly worth the wait. There are many wonderful experiences to be had in this ancient and intriguing country. For further inspiration take a look at the trip ideas put together by our trusted local experts at the foot of this page, but in the meantime here are our top three things to do in Colombia. Wander through Colombia's Lost City, deep within the Sierra Nevada de Santa Marta mountains. Only rediscovered in the 1970s, its origins date as far back as the 7th Century - making it older than Machu Picchu! The city is an ideal place for travellers wanting to get off the beaten path and experience true Colombian wilderness. 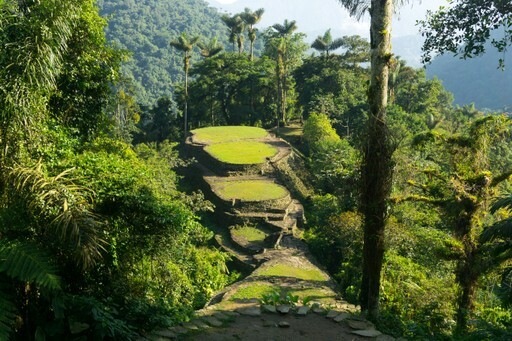 Hike for 5 days through the otherworldly river valleys and jungle-strewn hills of the Sierra Nevada de Santa Marta to the lofty Ciudad Perdida, a magical testament to Colombia's ancient past. Palm trees sway on the unspoilt tropical beaches of the Tayrona National Park. Lush jungle backs the sandy shores which are in turn fringed by busy coral reefs, and behind that the steep mountainsides of the Sierra Nevada de Santa Marta rise up. It's a perfect destination for those wanting to combine adventure and relaxation, with unparalleled hiking experiences and white sand beaches side by side. Stroll through this UNESCO World Heritage site and bask in the beauty of its winding cobbled alleys, balconies dripping with flowers and magnificent plazas. The atmospheric streets of the old city are full of life, with street vendors peddling exotic sun-ripened fruits and sweet pastries, watched over by brightly painted colonial buildings. 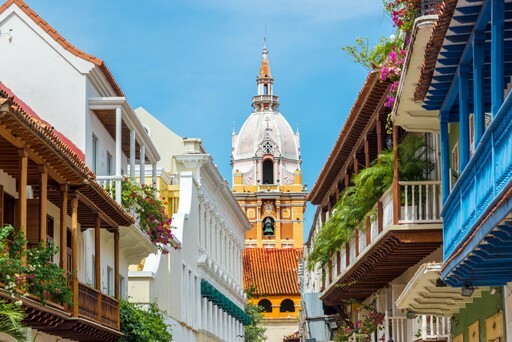 All this charm is coupled with an idyllic location on the shores of the Caribbean, making Cartagena an ideal base for those wanting to mix culture and relaxation into their trip. When should I visit Colombia? Equatorial proximity ensures consistent temperatures, although the diversity of landscape means that there is climatic variation depending on location. The most reliably dry season throughout the country runs from December to March, which is also a busy period for festivals and celebrations. Domestic tourism is a force to be reckoned with in Colombia, so if you wish to time your visit to coincide with any of the major events or national holidays (particularly Christmas and Easter) it would be wise to plan ahead. Create your bespoke holiday to Colombia!